Crystal clear waters, scenic mountaintops, ancient castles – for many brides, nothing is quite as alluring as planning a destination wedding. 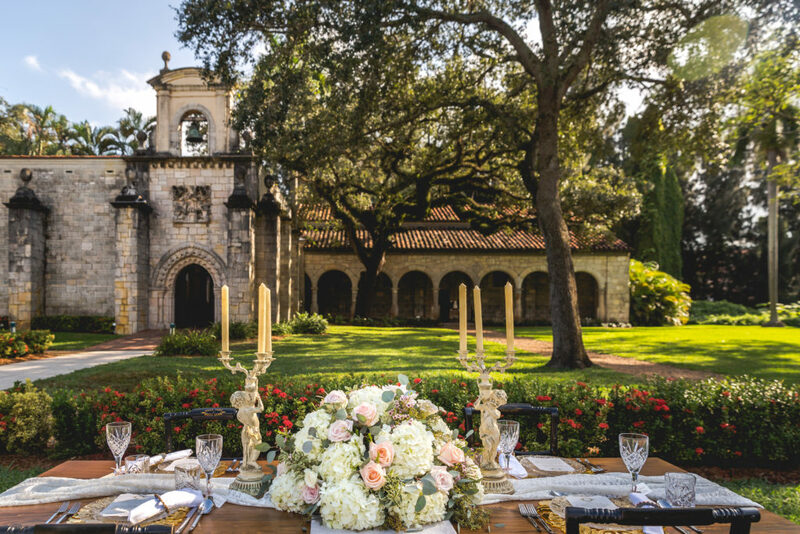 The romantic vistas that come with tying the knot far away from home often outweigh what local venues have to offer, and brides quickly jump to daydreams of saying “I do” against a soft, ocean sunset. Destination weddings are fun, charming, and lend to the fantasy wedding motif. But while planning any wedding is stressful, throwing one in a distant locale comes with its own set of challenges. Whether you’re planning to exchange vows under breezy palm trees in the Bahamas or amid the vineyards in Tuscany, we at PAPER & LACE want to share our top destination wedding planning tips with you! Are you and your fiancé total beach-goers? Tying the knot at a magical location like the Shelborne South Beach in Miami Beach, Florida, could be the perfect spot to jet set your wedding guests to. More of a posh, city gal? 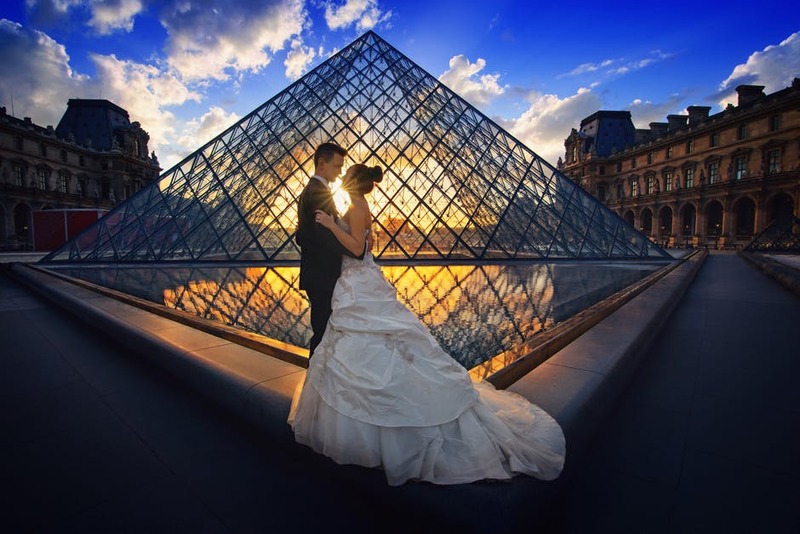 How about planning a destination wedding at the Ritz in Paris, France… with the Eifel Tower glittering in the background? Regardless of the locale you choose, you want your wedding guests to walk away from your destination weekend saying, “That was the perfect fit for them!” Your wedding elements – location, activities, mood, backdrop, cuisine and overall vibe – should say something about your personal style and your passions. Keep in mind that your destination wedding location must have all of the resources you need to accommodate you and your guests comfortably. Smaller beach towns and/or rustic villages won’t necessarily work if the area only has one hotel and can’t accommodate all your guests. The best way to weed out any possible location malfunctions is to plan a site visit well before the big day. After all, if you were getting married close to home you wouldn’t even think of booking a venue you’ve never set foot in… so why would you do it when planning a destination wedding? Sure, the extra travel expenses will have to be accounted for, but if you have the means to fit a quick trip in your wedding budget, it could be very well worth your while. 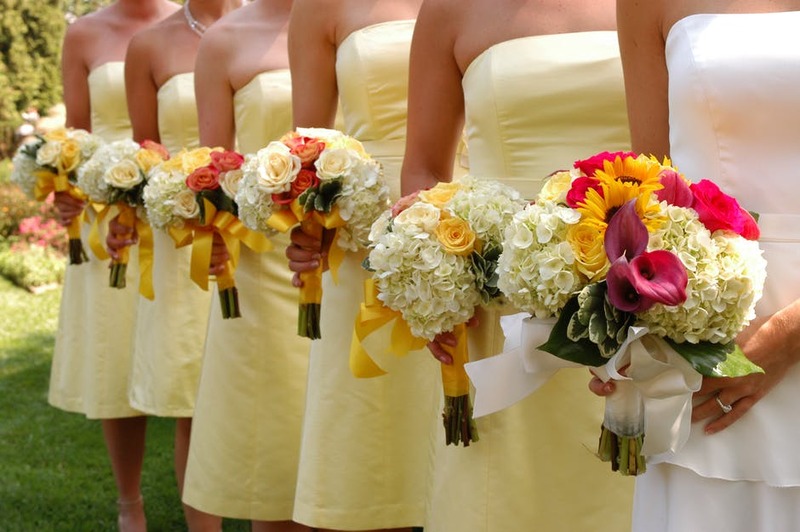 If you’re able to take a trip to your destination prior to the wedding, book meetings with the better-known florists, venues, musicians/DJs, rental companies, etc. beforehand. That way, you can meet with different vendors face to face and get a feel for what will work best for you on your big day. Make sure you take the trip to your destination months in advance though because wedding companies like The Perfect Wedding Video need to be booked months ahead of time to ensure availability. Keep your destination’s local weather in mind when choosing the time of year your wedding will take place. 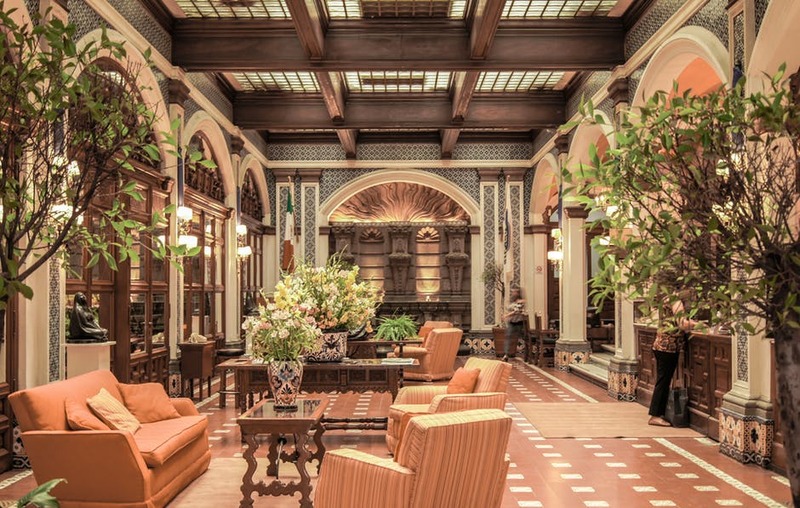 For many locations, the best weather often coincides with tourist season (when there are typically more crowds, fewer hotel and venue availabilities, and higher rates all around). If you plan your wedding during this “popular” season, you’ll want to reserve hotel blocks and venues immediately and send out save-the-dates 10 to 12 months in advance so guests can book their flights and accommodations before prices skyrocket. Notify your guests well in advance of your destination wedding plans. This is arguably that most important destination wedding tip that we have under our belts! You’ll want to give your nearest and dearest have plenty of time (at least 10 to 12 months) to consider if they can afford the cost of traveling to your ceremony and reception. If they don’t, you’ll want to give them time to start saving up so that they can join in on the fun! Set the mood for your destination wedding with save-the-dates and formal invites that exude the same vibe as your destination location. Going along with timing, don’t forget to consider the climate when choosing your wedding dress – and deciding on everyone else’s attire. We’d suggest skipping a heavy ball gown if you’re heading somewhere tropical. Furthermore, asking your groomsmen to wear tuxes in the sun and heat is just cruel! Also, if you’re exchanging vows outside, you may want to reconsider a long train that will easily get muddy or grass-stained or three-inch heels that will stick in the mud. Additionally – keep in mind that loose hair styles are no friend to windy locales! Fully embrace the beauty of your destination in order to slash your décor budget. Incorporate local flowers into your wedding ceremony and reception centerpieces. Fill your reception menu with local flavors and seasonal specialties. When it comes to a destination wedding, there are inevitably extra costs you’ll have to account for, such as key vendors, welcome bags for guests, additional activities for guests, and travel costs for you and your immediate families (both to the location and on the big day). Saving by incorporating local touches into your destination wedding will really help support your wedding budget in the grand scheme of things. Hiring a wedding planner or coordinator that specializes in destination weddings will lift an instant weight off of your shoulders. 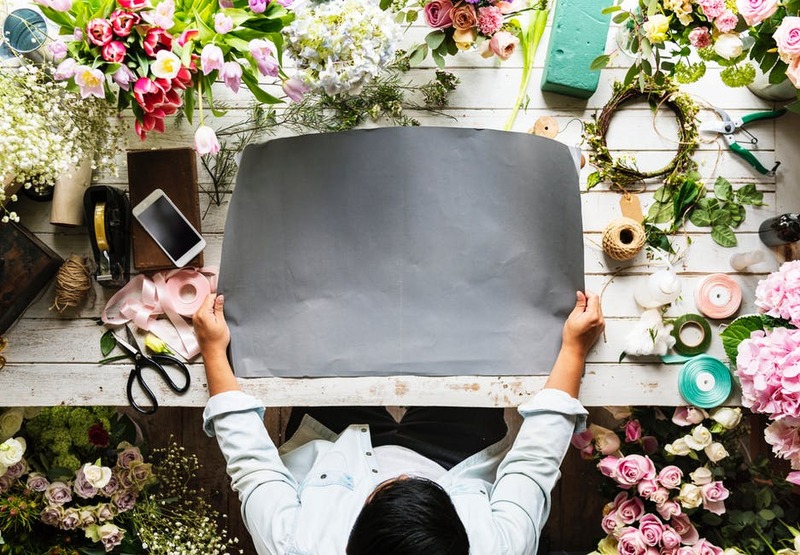 Instead of spending hours on phone calls trying to overcome a language barrier or making executive decisions about flowers and ceremony site from miles away, you have an expert on hand to take care of it all for you. If a destination wedding planner isn’t in your budget, opt to book a resort with an on-site wedding ceremony and reception coordinator. When it comes to planning a destination wedding, you need to be twice as organized and pre-think everything. The good news: If you give yourselves one weekend to find a reception site, you’ll find one. In other words, distance will make you decisive, which will make the whole planning process a lot less stressful (along with enlisting the help of that specialized wedding planner). Once you’ve chosen a destination location, it’s time to get planning! 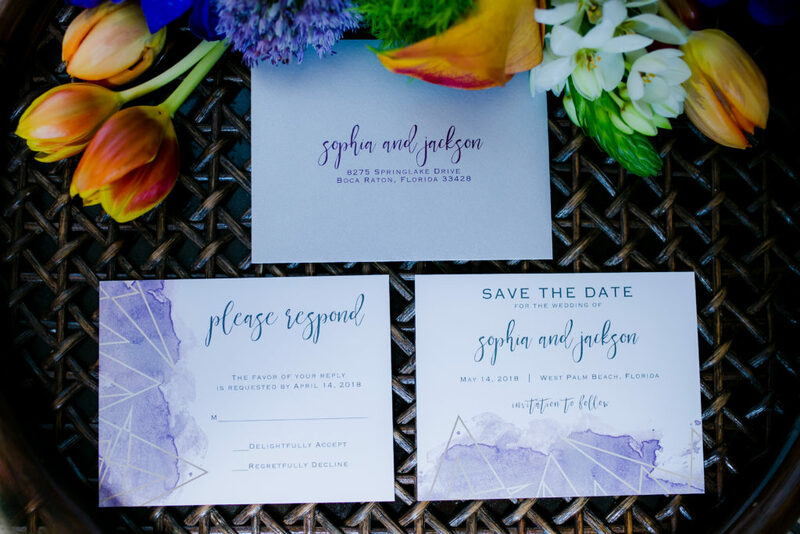 The custom wedding invitation experts at PAPER & LACE are here to help create beautiful, destination wedding invites and stationary to match the feel and formality of your destination affair. Get in touch with us today and we’ll help you create something beautiful.